A couple of new features were added to Cycling Analytics today. The main one is the ability to create training plan sequences, which means a sequence of workouts can be saved to the training plan library that can then be added to athlete calendars. This can make creating training plans much simpler when there is repetition. There are now two tabs in the training plan library. The first is for workouts, which is the only thing that has been in the training plan library until now. The second is for sequences. 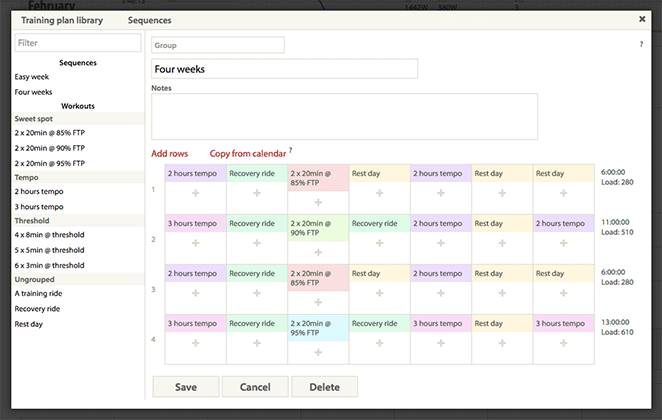 Sequences can be constructed in the training plan library, or copied from the calendar when the workouts on the calendar also exist in the plan library. For coaches, the calendar that workouts are copied from is the one for the athlete whose calendar they are looking at when they bring up the training plan library. The training plan library can be exported and imported as a CSV file. This makes it possible to export the library, edit it in Excel, use the “delete all” button, and import the edited version to make large scale changes to the library. It also means the library can be shared with another user. When this feature is used, workouts and sequences are both included in the one CSV file. 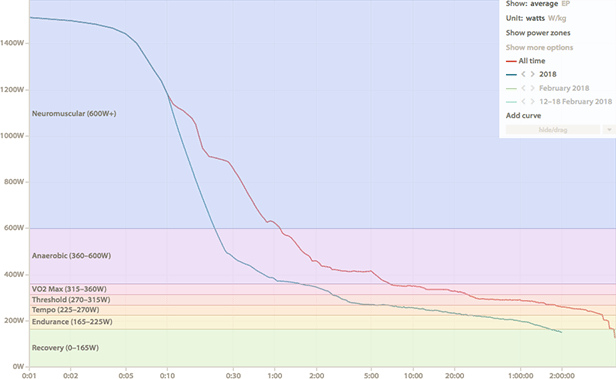 Another new feature is that power and heart rate zones can now be displayed on the main ride chart, and power zones can be shown on the power curve chart. That’s all for now, but there’s more to come.